Stephanie: Hello Cara! Thank you for chatting with me today. First off I would like to say I love your book title. Please tell me about your story and how you chose your title. Cara: Thanks for having me here at Layered Pages! 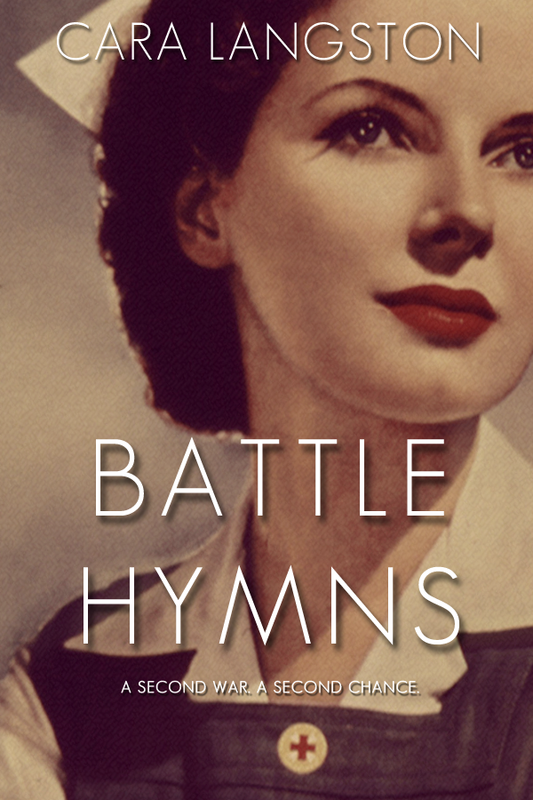 Battle Hymns is the story of a young woman, Charlotte Donahue, whose life is forever changed by the attack on Pearl Harbor and the entrance of the United States into World War II. Her fiancé, Nick, enlists in the Army, and while Charlotte waits for him to return so they can marry, she volunteers as a nurses’ aide with the American Red Cross. It’s here she develops a passion for nursing and meets a wounded fighter pilot, Will, who helps her cope with many of the emotions that arise from Nick’s deployment. Choosing the title was easy once Battle Hymns was on the short list, but I have to credit one of my friends for suggesting it in the first place. I love the title. It’s wistful, romantic, and clues readers into the war’s prominent role in the story. It also reflects the dichotomy of some of my themes—head vs. heart, home vs. career, life vs. death, etc. Stephanie: Is this your first published work? And how did you come up with the premise? Cara: Battle Hymns is my first published work. I’ve written other fictional pieces, but those manuscripts will never see the light of day if I can help it. Stephanie: Did you have to do a lot of research about the Second World War? Cara: I certainly did a lot of research. My Google search history over the past five years is probably quite a sight. Thankfully we live in an era where so much useful information is posted online. You have to separate the wheat from the chaff, so to speak, but it’s an invaluable resource. I was able to read love letters from soldiers, view photos of the Army Medical Center in 1942, and study digitized non-fiction books that delved into certain WWII battles. Stephanie: What interest you most about the period your story takes place in? Cara: The people who lived through World War II sacrificed so much for the cause, whether they supported it from home or fought on the front lines. The U.S. has been a wartime nation for most of my adulthood, and yet as a civilian, it doesn’t affect my everyday life the way it affected Charlotte’s in 1943. We no longer have conscription and rationing. The “total war” sacrifice is unique in that way. It’s what has always drawn me to this time period and one of the main reasons I wanted to tell this story. Stephanie: What was your writing process like for this story? Cara: I began writing this story nearly five years ago when I was in college. I finished half of the first draft in about seven months. Then I started my first full-time job, and Battle Hymns sat unfinished on a USB drive for two years. I picked it up again in 2012 when I moved to Texas with my husband and was between jobs for three months. Suddenly having that much free time gave me the motivation to finish the first draft. After that, it took about another year for re-writes, professional editing, formatting, and publishing. Stephanie: Please tell me why you write historical fiction and if you have come across any challenges in this genre. Cara: I write historical fiction because I love to read historical fiction, and I like to read historical fiction because it’s simultaneously entertaining and educational. With each book I read, I learn something new. I think it’s important to be knowledgeable about our history. Many lessons can be learned from it. 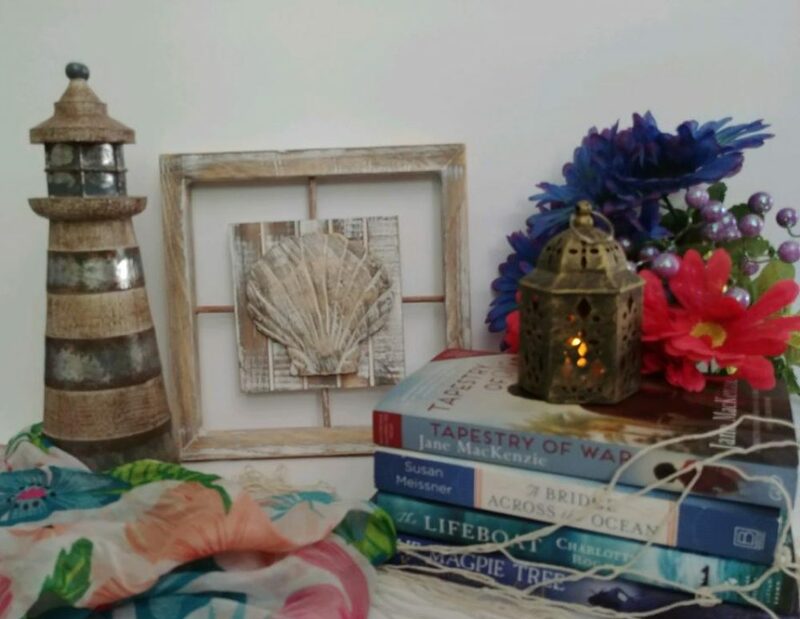 The most challenging aspect of writing historical fiction, I think, is finding the right balance between historical accuracy and conforming to 21st century values for your reader. For example, certain types of bigotry were more prevalent seventy years ago than today; how much of that should be portrayed? Cara: My advice would be not to rush your writing process. Eventually you get to the point where you’ve been working on the book for so long, and you get excited about the prospect of publishing, finding readers, having a cover design, etc. But you need to polish the final product before it can be marketed, so spend as much time as you need to get the story as perfect as it can be. Cara: I’ve been moving too often to have a favorite place to write! My husband and I bought our first house together only three months ago, and although we have an office in which I plan to write, we haven’t purchased a desk just yet, so I write at the dining room table. I have a full-time job so I don’t write often enough. Lately I’ve been so busy that I’ve only gotten in 3-4 hours a week of writing time. At this rate it’ll take me another five years to finish my next novel! Stephanie: Who are your influences and did you always know you wanted to be a writer? Cara: I think I read too wide a variety of genres and authors to have any particular influences, at least none that come to mind. Instead I’m trying to develop my own style. I haven’t always wanted to be a writer. When I was in high school, I wanted to be a journalist. Then I joined the school newspaper, and the advisor was so terrible that I swore off all writing after that. I convinced myself that I was an awful writer, so with the exception of necessary school essays, I avoided writing at all costs. It’s one of the primary reasons I decided to major in Finance in college. But throughout all this, I remained an avid reader, and eventually enough time passed that I was able to view writing more favorably. Now I love it! This entry was posted in Uncategorized and tagged Battle Hymns, book tour, Cara Langston, historical Fiction, history by layeredpages. Bookmark the permalink.